Kidney cancer. 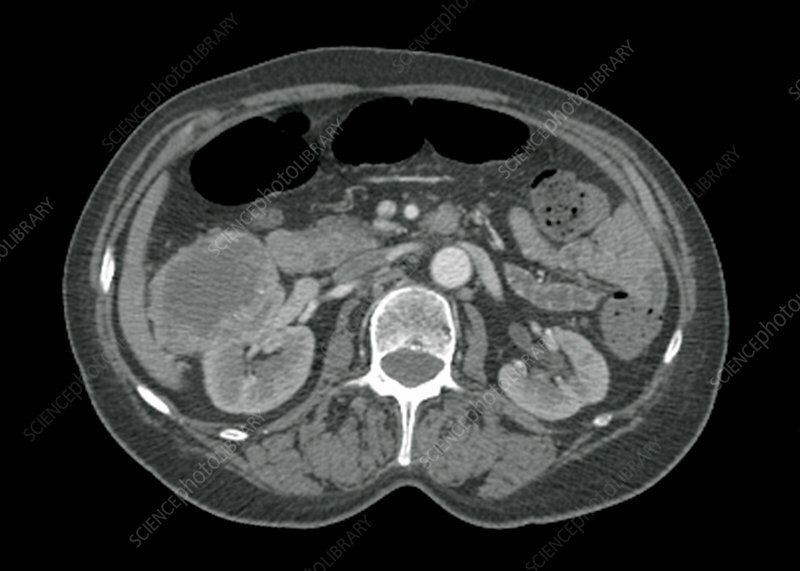 Computed tomography (CT) scan of an axial section through the abdomen of a patient, showing a large malignant (cancerous) tumour (round, left) in the right kidney. The two most common forms of kidney (renal) cancer are renal cell carcinoma (RCC) and transitional cell carcinoma (TCC).